Bhavan’s Vivekananda College of Science Humanities and Commerce, BVCSHC Hyderabad was established by the Bharatiya Vidya Bhavan Trust in 1993. The college is spread over an area of 50 acres. The campus is located at a distance of 8 km from Secunderabad station and 2.5 km from Ramakrishnapuram railway station. Bhavan’s Vivekananda College popularly Bhavan’s Sainikpuri is a graduate and postgraduate college. It offers graduate and postgraduate courses in Science, Commerce, and Humanities. BVCSHC is affiliated to Osmania University, and become an Autonomous Institution. BVCSHC got an approval from UGC and recognized by AICTE. Accredited with grade A by NAAC. It is an Autonomous Institution. The college offers graduate and postgraduate courses in Science, Commerce, and Humanities. The Bhavan’s Vivekananda College of Science Humanities and Commerce, BVCSHC Hyderabad admissions for UG programs (B.Com, BBA, BA, BCA, B.Sc) are based on the candidates aggregate in Intermediate/ Equivalent Examination (The candidates should have an aggregate of 50%). The candidates need to fill out an application form. The college will have a counseling session with students and shortlist based on the merit. BVCSHC admissions for PG programs (M.Sc, MBA, M.Com) if the candidate has an aggregate of 50% in Bachelor’s degree in any recognized University. There are a number of trees and the greenery around ensures a pleasant atmosphere for the students and staff. There is adequate parking space for both staff and students. All the equipment and consumables necessary for the practical classes are available. There are well-furnished classrooms in these blocks that house all our classes comfortably. There are well-equipped laboratories for all the science subjects. The library has a collection of 30,000 books of which 25,000 are textbooks. The library Encourage students to update their Knowledge by providing more information in the library. It inculcates the habit of using good quality reference books and has the volume of 5,000 reference books. Provide access to latest information through Inflibnet/ Journals/ Web/ Magazines. 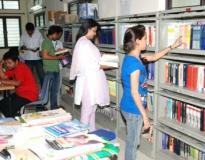 The library also provides an internet and intranet facilities for both students and faculties. It also has a Digital library. The college has a sports club to encourage Students to achieve their goals. It trains students to compete at Intercollege, State level, National and International level. It caters to students and staff with wholesome snacks and meals at reasonable rates. The college monitors the canteen to provide food and beverages which are hygienic. The Institute has a very spacious computer lab. The computers are installed with the latest software.